This is a sponsored post written by me on behalf of Santa Margherita Wines. All opinions are 100% mine. I am lucky to live in AZ because in this town, brunch is an all-year long occasion. We don’t have to wait for spring or summer, because it is already warm and with 300 days of sun. It is absolutely a reason to celebrate and brunch is that perfect celebration. An even better reason to celebrate is when family is in town. Having good food, great friends and family, joyous laughs and fantastic wine is the recipe for an amazing day. To me, wine and brunch go hand-in-hand like pen and paper. You can’t have one without the other. 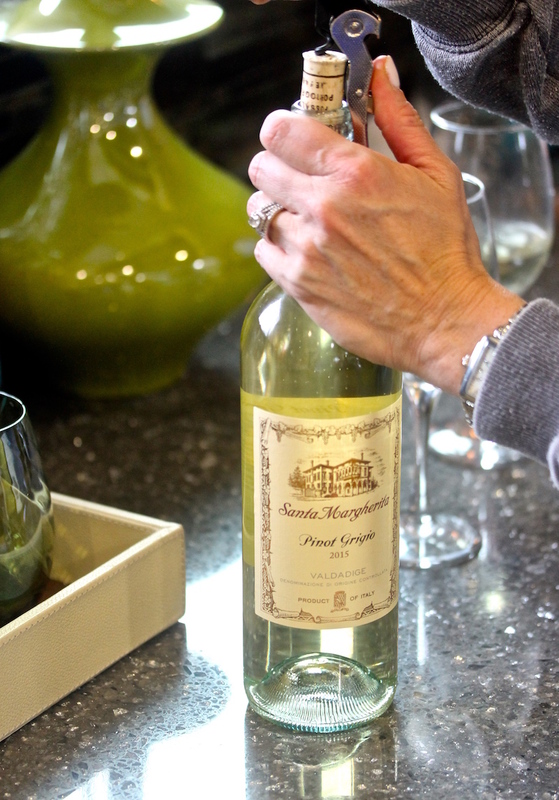 I served Santa Margherita Pinot Grigio and everyone couldn’t have been more pleased. Having the top imported premium wine on hand can take a good brunch to the next level and make it a fabulous brunch. 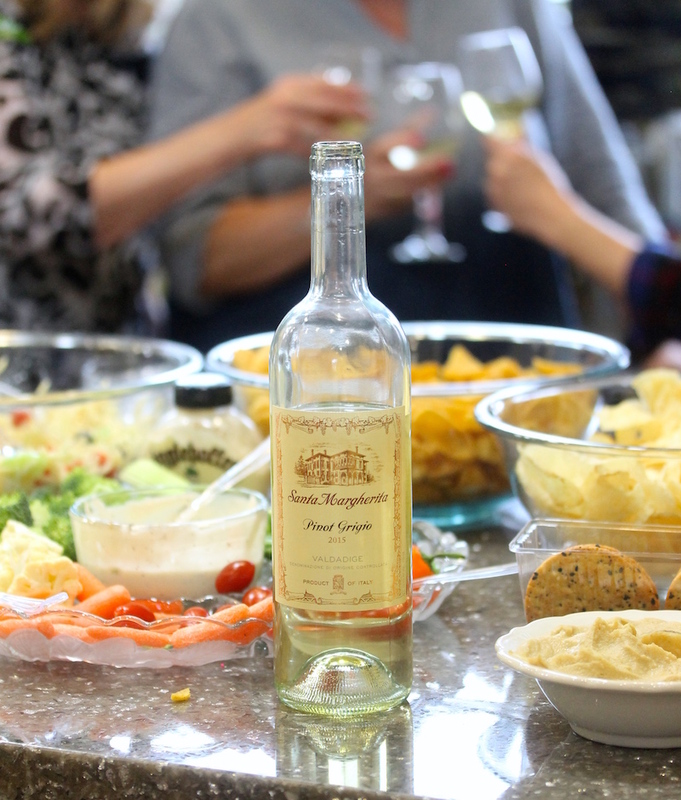 Santa Margherita Wines was the first introduced in the U.S. back in 1979 and touts versatility in pairings, day-parties and any fabulous occasions. Like I said, their wines are perfect for brunch, or lunch, or dinner or anytime. 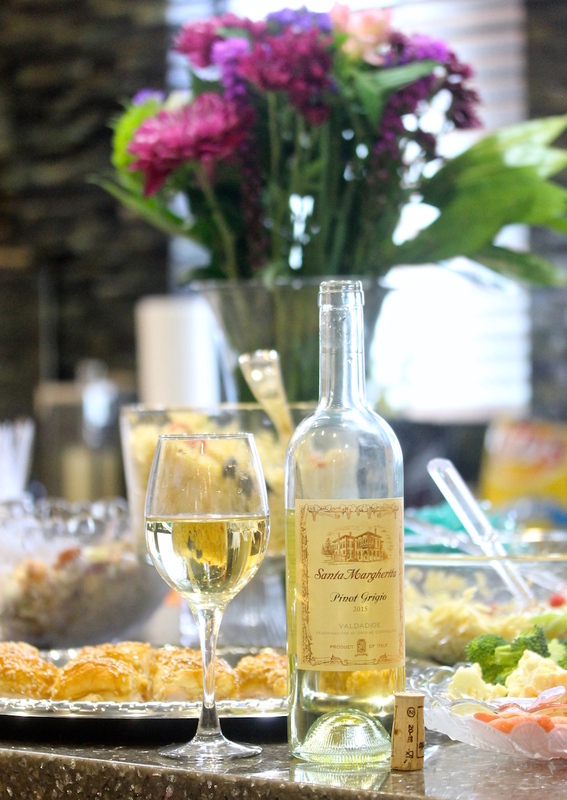 I love Pinot Grigio because it goes so well with any type of food you may be serving. We had salads, baked sandwiches and veggies with dip. 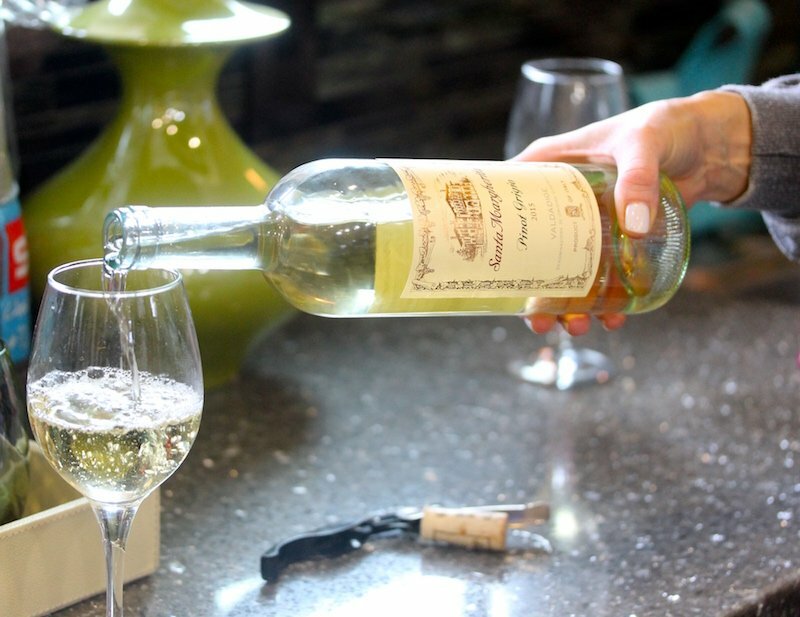 The Santa Margherita Pinot Grigio is a perfect taste of crispness that is not too dry and was the perfect refreshing beverage to pair with our food. This wine is actually the great accompaniment to a brunch that is more breakfast themed too, such as eggs (frittata, eggs benedict, quiche) pancakes, waffles, fruit and bacon! I think I need to host another brunch with just breakfast foods and wine! Scheduling on the calendar now. 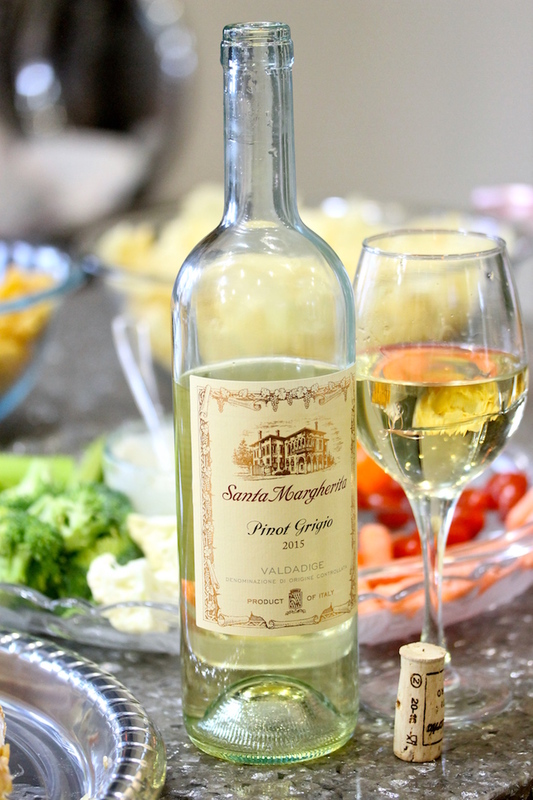 Santa Margherita is the perfect wine that fits into any of your occasions. Whether it is curling up with a good book, taking a relaxing bath, or hosting a get-together such as a book club, this wine will fit all your needs. Your guests and pallet will be thankful.